I just read this article and thought you might want to give it a read, too. 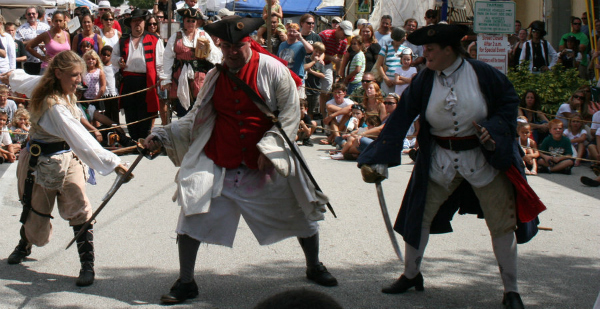 It\'s called Arrrgh you ready for these swashbuckling pirate fests? 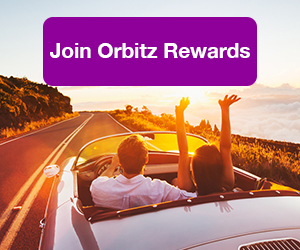 and you can find it here https://www.orbitz.com/blog/2015/03/arrrgh-ready-5-pirate-fests/. 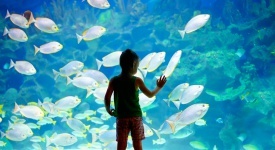 Jose Gaspar terrorized the waters of western Florida during the late 18th and early 19th century. He was an aristocrat and officer in the Spanish navy before he went rogue and began his reign of piracy. He had an odd reputation, killing ruthlessly but stopping his sprees when he encountered an old navy buddy during an invasion. After a couple decades of that life, he and his crew decided to make one last raid on a ship before retiring. Unfortunately for him, the ship they chose to be their last was the U.S.S. Enterprise, a member of the navy’s fleet. Gaspar and his crew were killed. The Gasparilla Pirate Festival, named for Jose Gaspar, was born in 1904 when the society editor of the Tampa Tribune joined forces to promote the city. 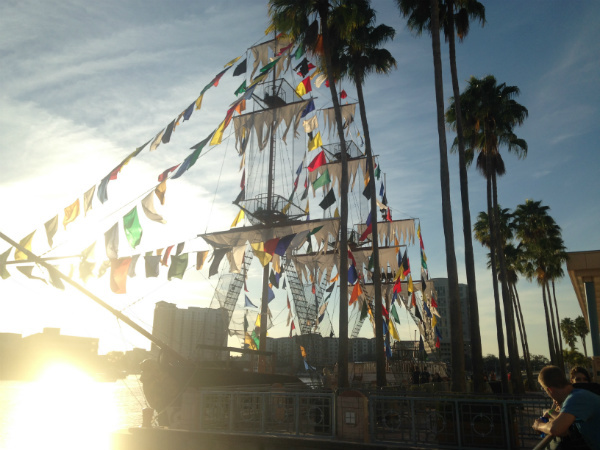 Each year, a pirate ship with flag-draped masts reaching higher than the palm trees pulls into Hillsborough Bay (which surrounds downtown Tampa) on Saturday morning, spilling dozens of city officials dressed as pirates that invade the town. What follows can only be described as uninhibited celebration, as more than 500,000 people — most dressed as pirates, or their interpretation of a more scantily-clad version — take to the streets and water surrounding downtown Tampa. A parade of pirate ships lasts nearly three hours, and by the end, almost every spectator has dozens of strings of Mardi Gras beads. Gasparilla is a whole season for the Tampa Bay area, which pirate-themed events stretching into march. And there’s no need to hold back on the partying for the children’s sake on the day of the parade, as a children’s parade is held the week before. 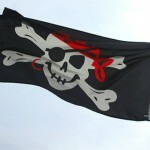 History in Eastern North Carolina is riddled with pirates. Blackbeard (Edward Teach was his real name) is said to have been born in the Ocracoke area, which is about 200 miles from Greenville. Legend has it, he had a sister that lived just outside of Greenville, and he would come visit the area. Three rivers converge near Greenville that lead in from the sea, which some say brought more pirates than just Blackbeard inland. 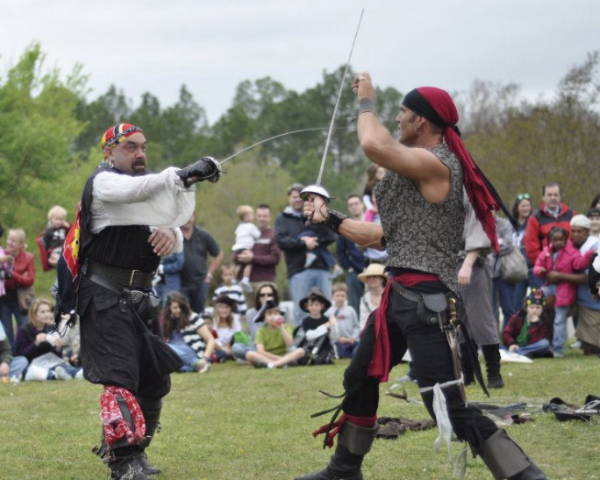 Greenville’s PirateFest draws more than 35,000 visitors, and most of them come dressed for the part. Last year, almost 14,000 people came dressed as buccaneers. The festival lasts two days and draws more than 150 vendors to Uptown Greenville. There’s a parade that dressed-up attendees can march in, a judged art contest, and an inflatable pirate ship for the kids. This is the festival’s eighth year, and it seems to be going strong, drawing folks from all over a state nearly founded on piracy and besting most of the country’s pirate festivals in attendance. The pirate influence in the San Francisco Bay area is mainly reserved for historians and thrill seekers these days. Yet the city itself is based on pirates — literally. Several ships have been found buried under the city during excavations, although the identities of some of those ships — and whether pirates actually sat at their helms — remainsto be seen. Some of the ships are set up for haunted Halloween tours, and urban explorers search others. Most of the remains of ships have been identified as vessels that brought in miners during the Gold Rush. But some still believe there are ships beneath the city that pirated the high seas. The NorCal PirateFest embraces the latter theory. 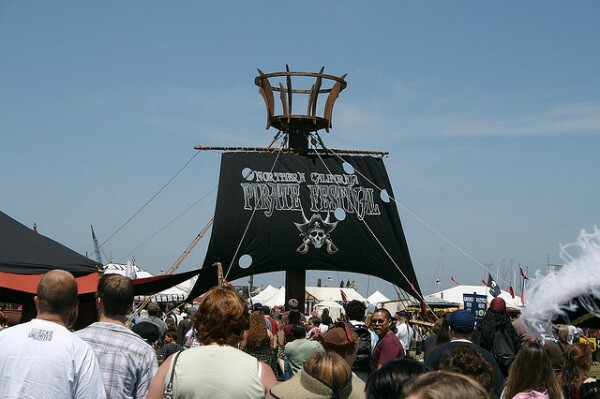 This will be the ninth year for the festival, which is the only one of its kind that celebrates Northern California’s pirate history. About 32,000 people turn out for this festival, and an additional 500 actors and performers take to the stage and streets. There are four stages of entertainment, food, beer and ship-to-shore cannon battles. There are also some activities for the “wee pirates,” as they say. 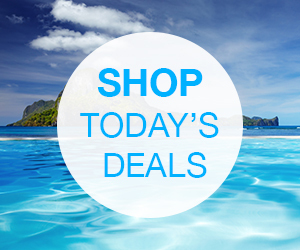 This is one of the only festivals on our list with a cover to get in — it costs $10 per person. 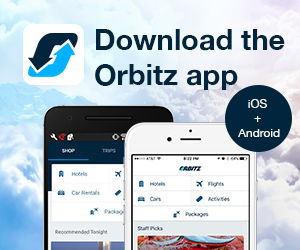 Fort Pierce lies along a stretch of eastern Florida known as the Treasure Coast, aptly named for treasure from the the fleets of Spanish ships that sunk along the coast’s jagged reefs and rocky shores. And where there is treasure, there are pirates (at least back in the 16th century).The name was not coined until 1961, when treasure from the 1715 Treasure Fleet was recovered. The Treasure Coast Pirate Festival celebrates this particular bit of wreckage. This year’s Treasure Coast Pirate Festival, which was the sixth, celebrated the 300th anniversary of the 1715 Treasure Fleet. The festival joined forces with the Florida Pirate Con this year, drawing more than 25,000 to the event. There was a demonstration of pirate weapons, a treasure hunt and costume contest. Blackbeard’s pirate ship made an appearance at the weekend-long celebration, as did mermaids, wenches and a KISS tribute band. And the Pirate Con folks brought all sorts of artifacts along to the show, and were not shy about demonstrating some of the centuries-old sword work. 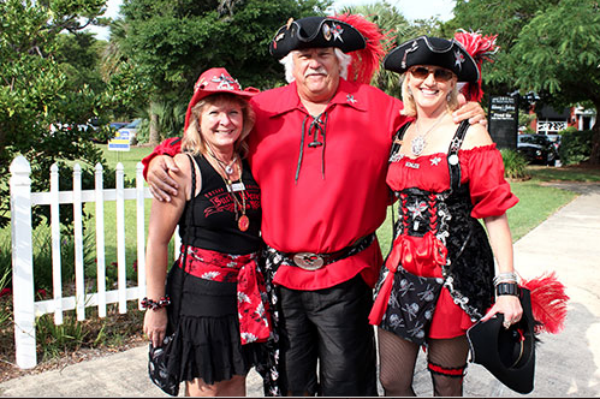 The Billy Bowlegs Pirate Festival is named after a pirate who may or may not have existed. The celebration started as a water skiing festival in 1953 and has become one of the longest-running pirate festivals in the country. A group of local entrepreneurs were looking for away to bring the people of Fort Walton together and attract more tourists, and decided on the pirate theme. William Augustus Bowles — also known as Billy Bowlegs, a legendary figure who allegedly pirated around the Florida panhandle — was chosen as the festival’s patron pirate. The four-day festival draws about 20,000 in for the celebrations, which begin and end with a parade. The first pirate sightings begin at the parade the Thursday night before the weekend of the festival. The pirate invasion continues throughout the weekend, wrapping up with a parade Monday morning that sends the buccaneers scurrying away from town. 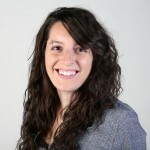 Ally is a Chicago-based journalist, recently transplanted from Ohio.